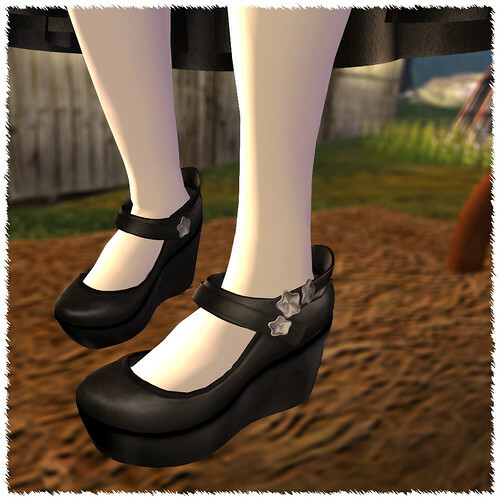 OOH, Bunneh Lizzie needs those shoes! You know... I was wondering if there's something specific you do to get your screenshots looking so good! All the lines are smooth and pretty, and I am totally envious. @ stacie <3 glad it made you smile. @ lizzie: o hell yes. I'm on a mac too, and I was getting vastly tired of using the smudge tool for like 9 hours in photoshop, so even if I still have to do SOME blurring, it will be an improvement! /me feels dumb! I was at Shiny Things last night and forgot to buy those pretties.